Brandon Faircloth named to Leadership Lee County! 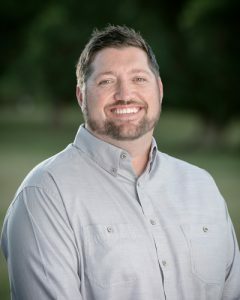 We are proud to have Operations Manager Brandon Faircloth named to the Leadership Lee County Class of 2018-19. The organization identifies, develops and inspires future leaders through professional development, educational opportunities and community involvement. The program begins in September with a kick-off retreat and reception and continues monthly through May. Monthly seminars highlight community issues and trends, incorporate professional development, and provide opportunities to hear from Lee County leaders. Brandon Faircloth assists in scheduling on all job sites and oversees the construction on several homes. He walks all the jobs with the other Project Managers at least twice a week to make sure everything is on schedule. In addition, warranty and call back requests are his responsibility. Brandon is very involved in the community on the company’s behalf.